Wow, Benedick was on a SCENAR DENAS microcurrent rant LOL and has been viewed over 10,973 times and watched for a total of 111,259 minutes. Stay Updated: Subscribe to the eBodyFUSION SCENAR DENAS Youtube channel Click here. In the November Hangout Benedick was joined by student Bill Palmer DC who after 20 years has solved his fractured neck injury solved with the eBodyFUSION SCENAR DENAS microcurrent training and now getting tremendous results with his clients using the Ninja 2 techniques. The links below will open the Hangout at the correct time spots for the major topics discussed. Vertebra introduction click here more in the December 5th 2015 Hangout after testing this month for a variety of conditions. As you may know it takes days to prepare for a Hangout with exceptional SCENAR DENAS microcurrent wellness coaching content like this so like, comment and subscribe to the eBodyFUSION channel, so we know, or not if this is valid information for you and what to include in future. NOTE during the section “Assessment explained” the audio mutes for 7 minutes at 37 minutes through 44 minutes, during this time there is a link you can click to the Russian clinical trials on 18,255 people where they achieved an average 88.50% cure rates. 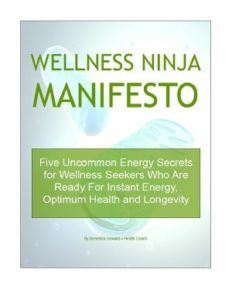 2 replies to "SCENAR DENAS Microcurrent Wellness Coaching eBodyFUSION Hangout 11-7-5"
Josephine I enjoyed talking with you 1-on-1 the other day and looking forward to your feedback and experiences with your DENAS. And of course I’ll keep you posted (you are already subscribed) especially to these very popular monthly Hangouts.